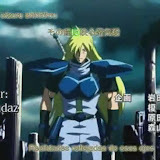 During Otakon 2010, I ended up throwing out my Gourry armor from Slayers: Revolution. Thus, I am recreating it for Slayers: Evoltuion-R. This time, I’m making “battle-damaged” armor, since normally I create pristine versions of costumes.